Live wallpaper fanatics, check this out. 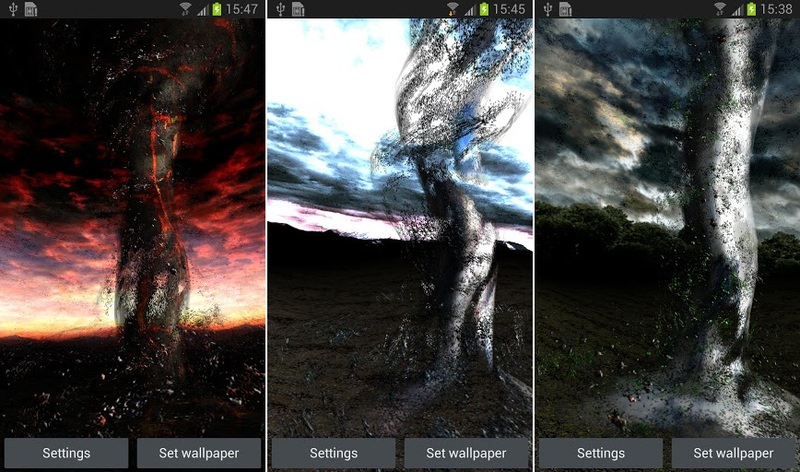 Tornado 3D, from the same guy who has made a million other awesome LWP’s such as the Planet Packs and the Galaxy-themed LWP’s that are huge on Google Play, is a new wallpaper that is sure to destroy anybody’s homescreen. If you check the video below, you can get a great sense of just what this pack has to offer. For $2, you get a ton of preset animations with various colors to match any type of theme you might have going on. And as a note, I’ve found that as long as you have a decently powered device, then these LWP’s don’t do much battery or CPU damage while running. If you love the crazy live wallpaper looks, then check it out.